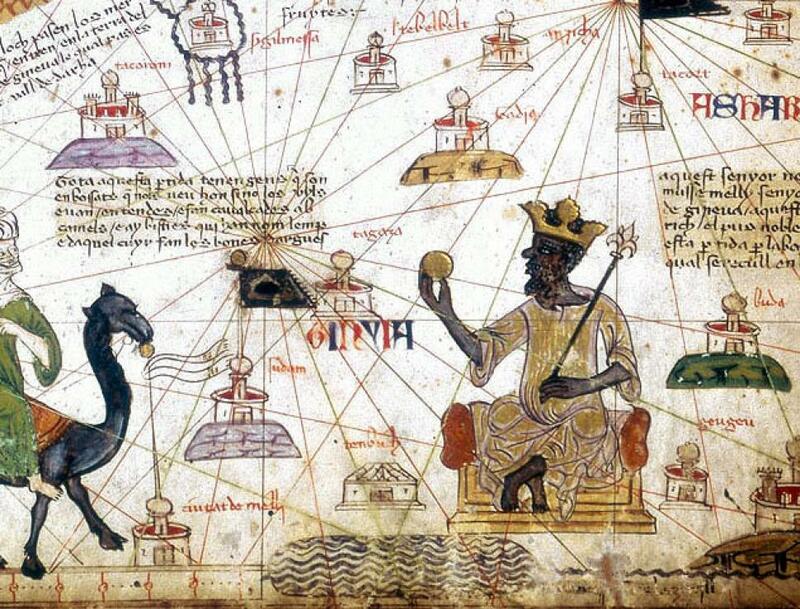 From a 14th century Catalan atlas, Mansa Musa holding a nugget of gold. In the 14th century, Mansa Musa of Mali (c. 1280 – c. 1337) ruled a kingdom stretching from the Atlantic Ocean in the west to beyond the bend of the Niger River in the East. And according to a 2012 analysis, Mansa Musa was the richest person ever. 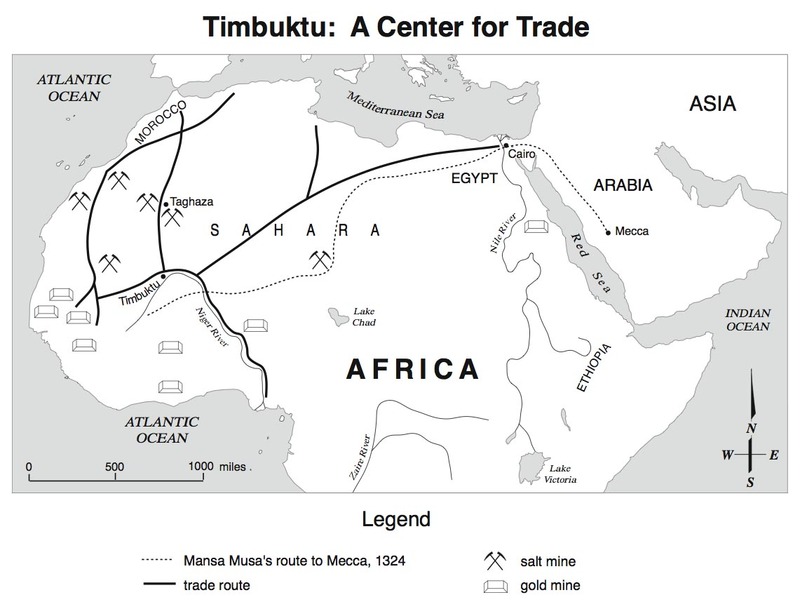 Musa’s wealth came from Mali’s extensive production of salt and gold. In the north, slaves worked the Taghaza salt mines, while in the south the legendary Wangara gold mines provided more than half the world’s gold. Mansa Musa is often referred to as the “Lion of Mali.” But in the Mandinka (Mandigo) language, Musa means “Moses.” This has led some historians to call Mansa Musa the “black Moses.” And it’s an appropriate nickname, given that Musa’s real fame came from his 1324 Hajj (pilgrimage) to Mecca. The journey to Mecca covered more than 3,000 miles, much of it desert. Musa’s entourage reportedly included 500 silk-clad heralds, 12,000 personal slaves, and 60,000 porters carrying four pounds of gold bars each. Numerous soldiers, doctors and story tellers accompanied Musa on the Hajj, as did Musa’s senior wife and her 500 servants. Musa also brought along many of the most powerful men in Mali. Only by taking them with him could Musa ensure that none would try to assume power in his absence. Although Musa rode a horse, his baggage train contained 80 camels. Each reportedly carried somewhere between 50 and 300 pounds of gold dust. Everywhere he went, Musa gave away some of the dust to the poor. On his way home from Mecca, Musa passed through Cairo. While there, he spent so much, that gold was devalued, triggering massive inflation that reportedly lasted two decades. In an attempt to rectify the situation (and to finance the rest of his journey home) Musa had to borrow as much gold as he could carry at usurious rates of interest. Mansa Musa is also remembered for his large-scale building projects. On his return from the Hajj, he built the Djinguereber Mosque and Sankore Madrasah (University) in Timbuktu. These buildings – which still survive — have helped make Timbuktu a UNESCO World Heritage Site. Unfortunately, they are made principally of adobe, which weakens when it rains. Even worse than such ongoing desertification, however, was the 2012-13 Northern Mali conflict between Government forces and Tuareg rebels. 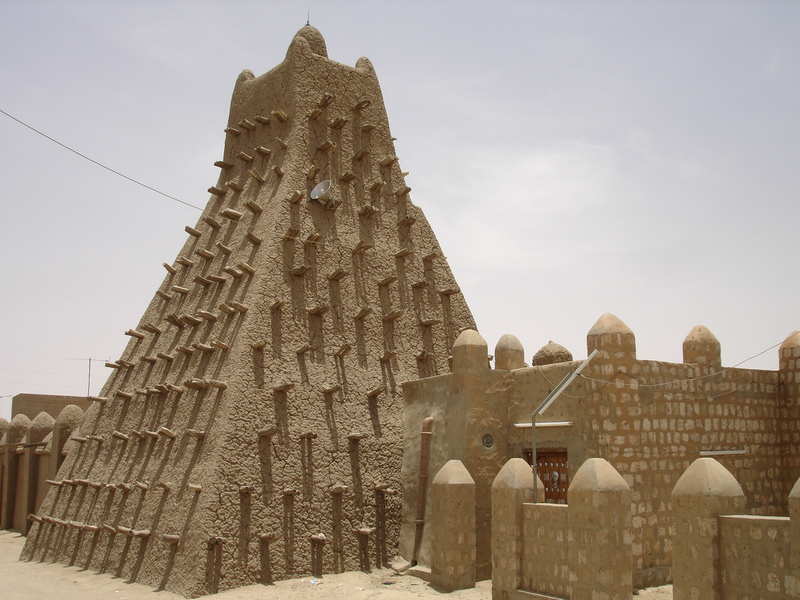 During the violence, the extremist Islamist group Ansar al-Dine destroyed 14 of the 16 World Heritage mausoleums in Timbuktu. The United Nations cultural agency says it will take $11 million to rehabilitate the mausoleums. Most of us will never make it to Timbuktu. But we can still experience Mansa Musa’s world through the eyes of historian Ibn Battuta, who traveled throughout Mali and the Muslim world in the mid-14th century. Or we can pretend to be Mansa Musa while playing Sid Meier’s Civilization IV. The black Moses with tanks? Rebels, beware. 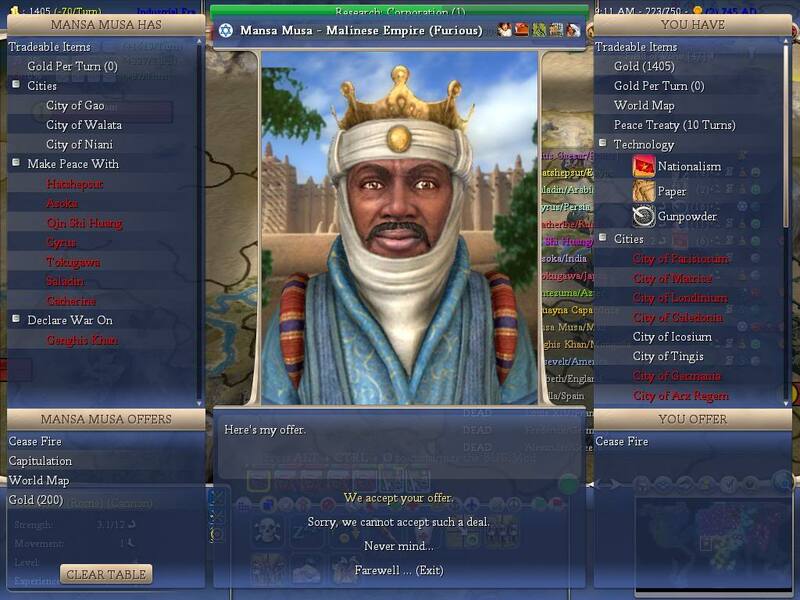 This entry was posted in Africa, Geography, History, Religion and tagged Africa, Ansar al-Dine, black Moses, Cairo, Civilization IV, Djinguereber Mosque, Hajj, Ibn Battuta, Lion of Mali, Mali, Malinese Empire, Mandingo, Mandinka, Mansa Musa, Mecca, Northern Mali conflict, Sankore, Sid Meier, Taghaza salt mines, Timbuktu, UNESCO, Wangara gold mines, World Heritage by Jackie Fuchs. Bookmark the permalink.